André Rieu and his Johann Strauss orchestra arrived yesterday at Bucharest Otopeni airport with a flight from Amsterdam and were greeted by numerous TV stations and fans. Rieu’s concerts in Romania will take place on the Piata Constitutiei square in Bucharest, in the same setting as André Rieu’s famous open air concerts in Maastricht. After the announcement of André Rieu’s first concert ever in Romania, there was a huge run on tickets. More than 33.000 tickets were sold in just 15 hours. The fastest selling André Rieu concert ever. Meanwhile more than 65.000 tickets have been sold. Today will be the first of seven concerts in Romania. 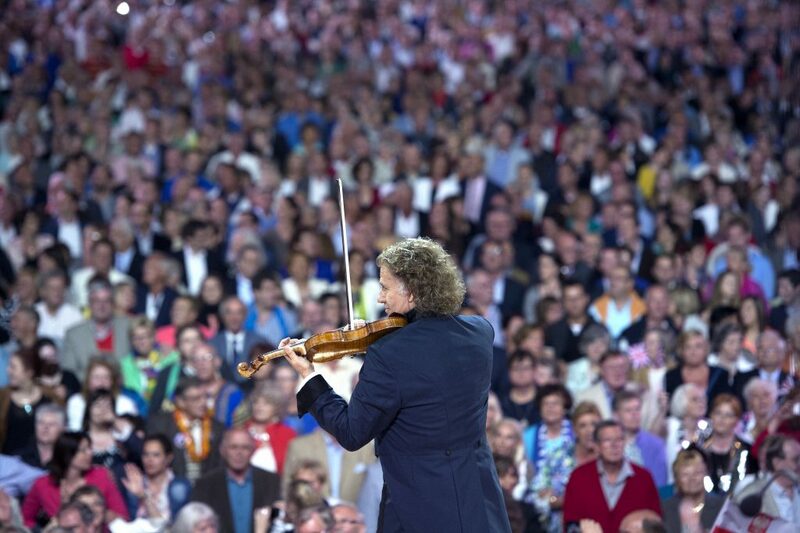 On 3 July André Rieu’s will return to the famous Vrijthof for his annual summer open airs in Maastricht.